Bacon on the beech: An Interview with Nacho Manzano. An Interview with Nacho Manzano. 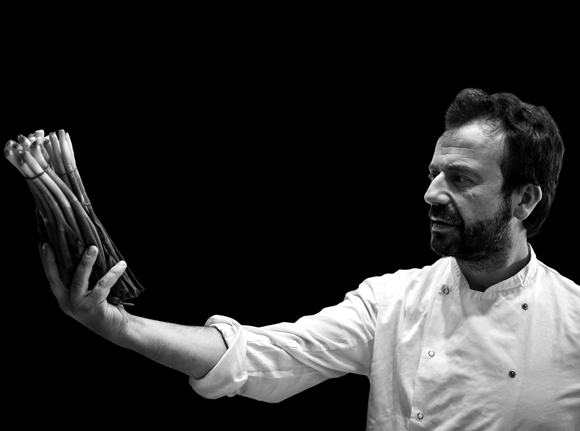 Nacho Manzano, Executive Chef of Spanish restaurant Ibérica is a busy man. 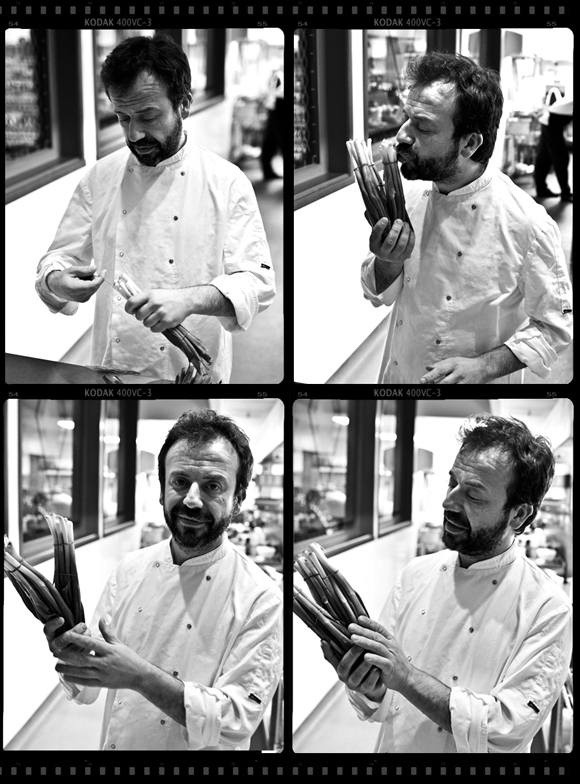 On a flying visit to Manchester I managed to catch up with him and ask him a few questions with Head Chef César García who helped to interpret. I've briefly met a few Spanish chefs over the years (Eneko Atxa at Azurmendi, Álvaro Garrido of Mina and Ángel León at Aponiente). One thing these Michelin star chefs seem to have in common is their energy, their enthusiasm and passion for food. That maybe true to form but they all seem to possess a refreshing lack of ego that you ordinarily might expect. Despite having a hectic schedule and following their staff party the previous evening, Nacho and César were more than happy to talk at length on Spanish produce, tapas and the seasonal menu at Ibérica. BACON: What have you got lined up for the new Spring menu? NACHO: Scallop and the razor clams which are very good quality. An Asturian dish, a white tuna stew, almost like a meatball but made with fish in a sauce. We are looking to source similar fish here, the albacore, or swordfish and also from Spain some white tuna from the Cantabrian sea. BACON: You use products from here in the UK as well. Are there any that particularly surprised you in terms of quality? I'm thinking of the twice cooked lamb dish which has always been a favourite of ours. NACHO: It's a traditional stew from the north of Spain. Grandmother's would cook it in old times. Here we took the dish and cooked it in the traditional way, slowly. It could be related to the stews in the UK as well. The idea is that it reminds you of home. BACON: It took me back to eating lamb at my Granny's house as a child when I first tasted it. CESAR: We use peppers from León in this dish and mix it with the lamb from here in the UK, it's amazing. BACON: Yes I think the lamb here is very good. And I also remember reading that you use British milk here at Ibérica that is a bit creamier so it improves the croquetas. NACHO: In Spain fresh milk is not so common, 90% of the market is long life. So when we came here we noticed the milk is really sweet and has a fuller flavour. BACON: Tapas in Manchester used to be poor quality versions of Spanish food not so long ago but now with yourselves and other restaurants coming to the city in recent times it really has become comparable with Spain. Are there differences in how people eat here? Both between Spain and the UK and between London and Manchester? NACHO: We do something different here than we would in Spain. We take a dish and we make it possible as a tapa. In Spain you probably wouldn't find the lamb for example as a tapas dish we would have it as a main. We make everything possible as a tapas here. Between Manchester and London there are obvious differences as there are between Barcelona and Madrid. London is obviously lots bigger so has lots more people. Now we are starting to look at what people order in greater detail. BACON: It's often said that people in the north don't eat much fish for example. 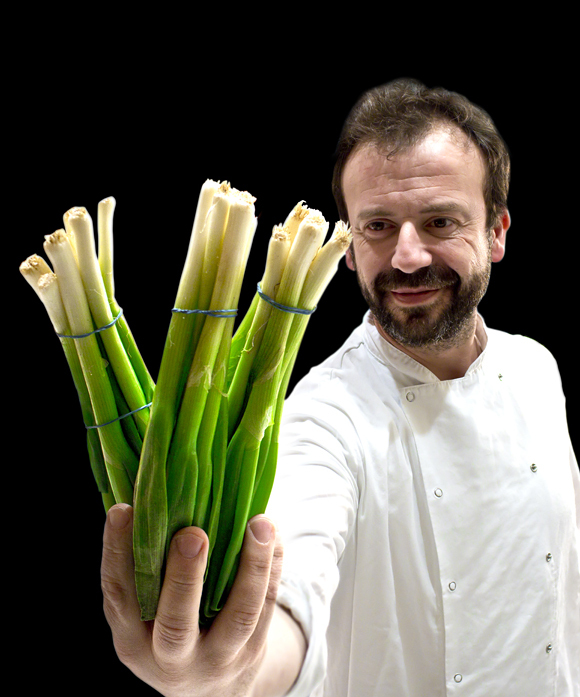 CESAR: ...Out of all of our restaurants, the lamb is the biggest seller here in Manchester. BACON: Are there some dishes that may have a lower gross profit on the new menu but you want them on because they are something that you particularly like? NACHO: Obviously in all the restaurants in all the menus there are always dishes with less gross profit and even if the prices of the product goes up we keep the price as we like to stay competitive. Such as the scallop we won't make a big margin on that. CESAR: Some dishes won't make a big profit but maybe it's something different from your competitors. BACON: Do you have current favourite ingredient on the new menu maybe? (I was told earlier about how Nacho was going to great lengths to source quality birds here in the UK to make his 'Arroz con pitu de caleya', a rice dish with free-range cockerel). BACON: Have you got a favourite restaurant in Spain apart from your own? NACHO: ....Etxebarri, Mina I like a lot. BACON: How about in Madrid? (we're going there in a few days). BACON: If you were a condemned man what would be your last meal on earth? NACHO: I would not be hungry but... fish, I love hake, line caught, really elegant with a very good flavour. NACHO: I get all the essence of the head, the bones, garlic oil .. it's fantastic. Sea Urchin as well..
Look out for some exciting events at Ibérica Manchester this year. You'll find out about it here first.